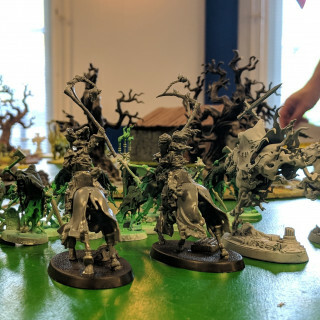 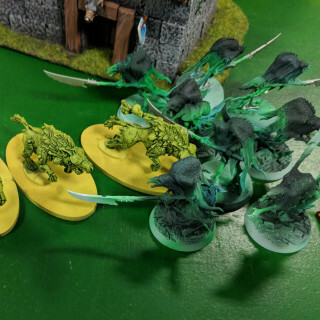 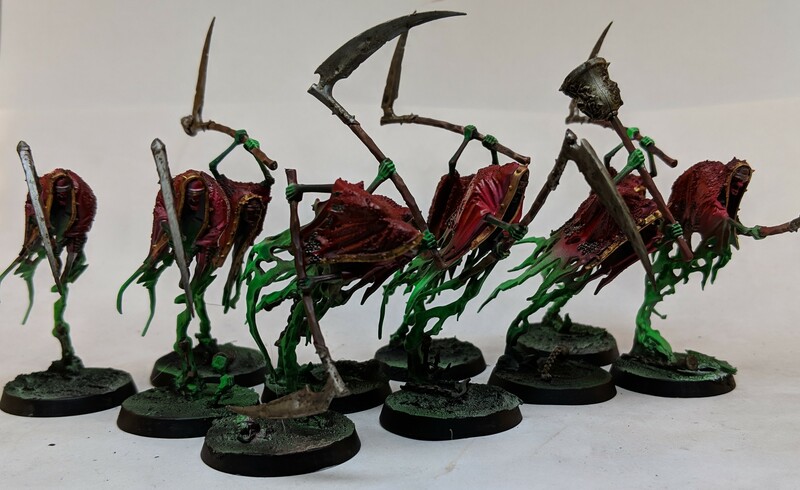 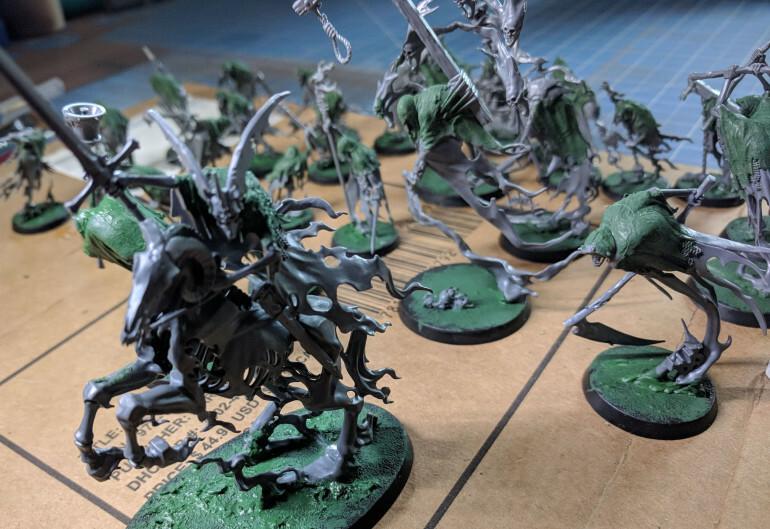 I've been building my army since my Soulwars box. 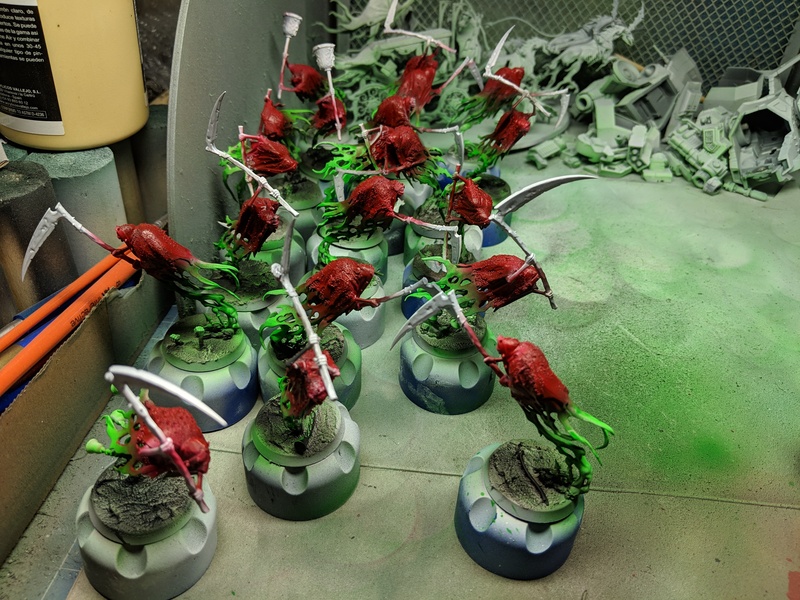 And tested several lists. 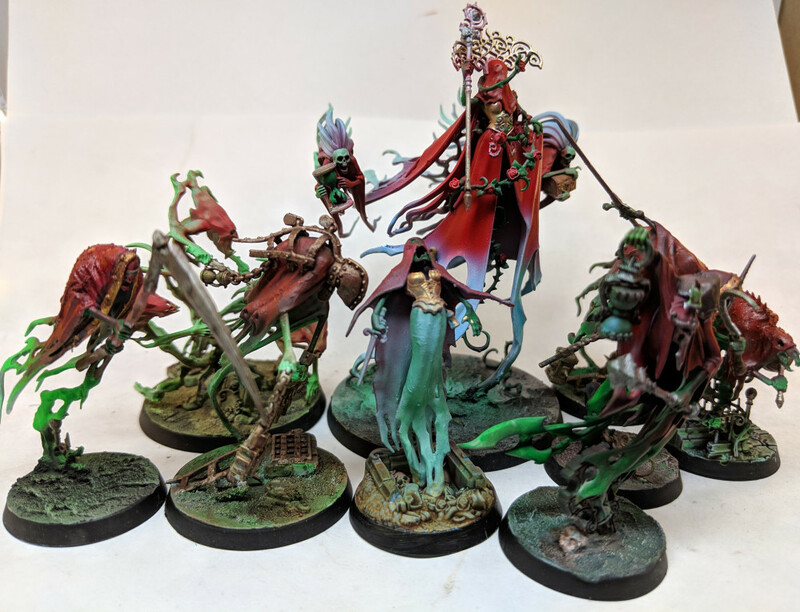 I found a list I like, but they all need a specific army colour scheme. 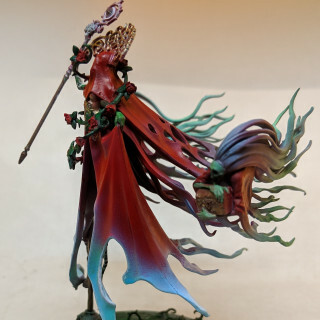 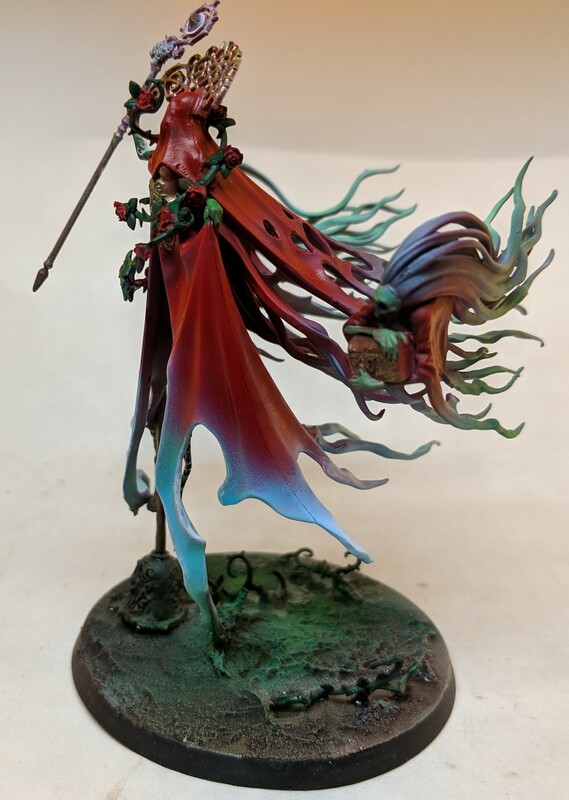 The Lady being the largest model I’ll field on the table during the tournament I really want her to stand out. 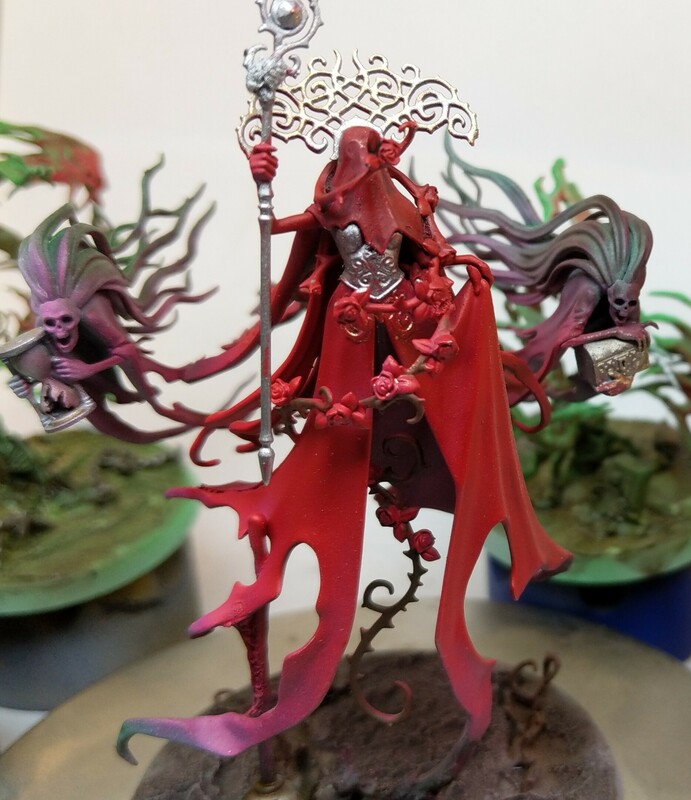 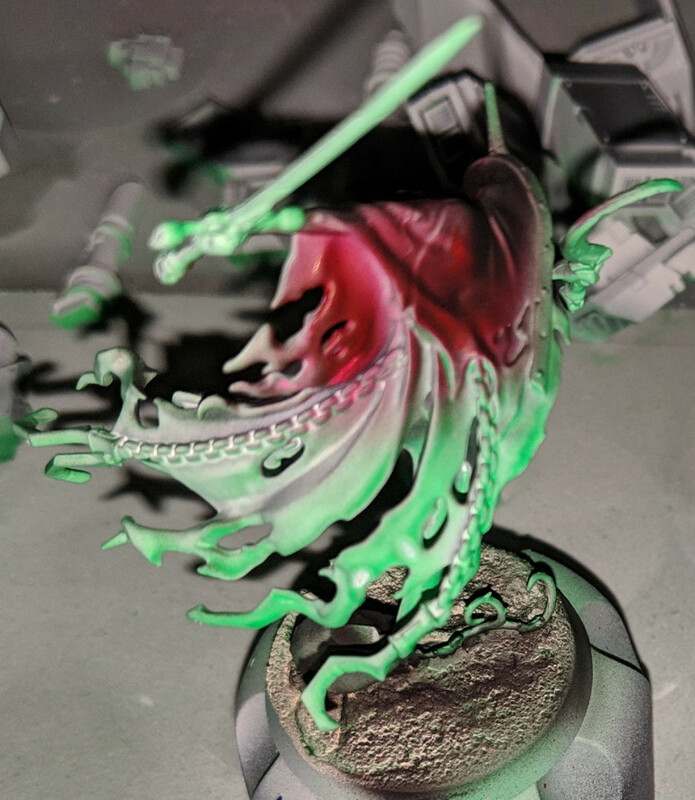 Just as Bloody red as the rest of the army but not using the Hexwraith Flame for the contrast in colour. 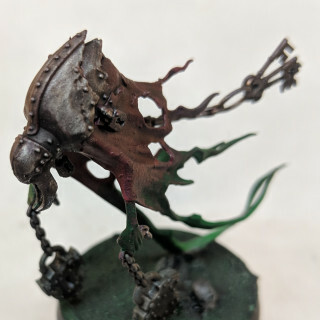 Today I applied ledbelcher to all metal bits, bells and chains. 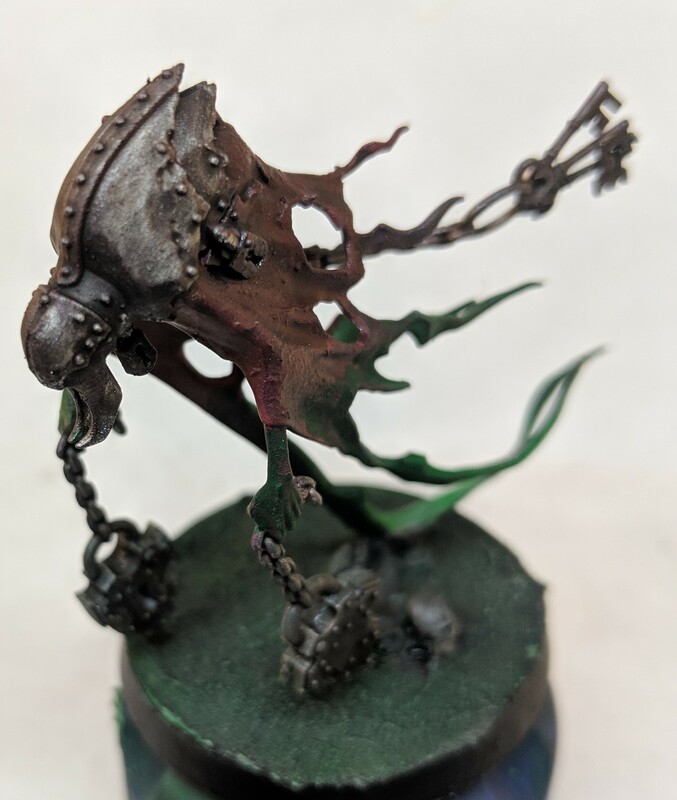 After that I washed the metal with aggrax earthshade. 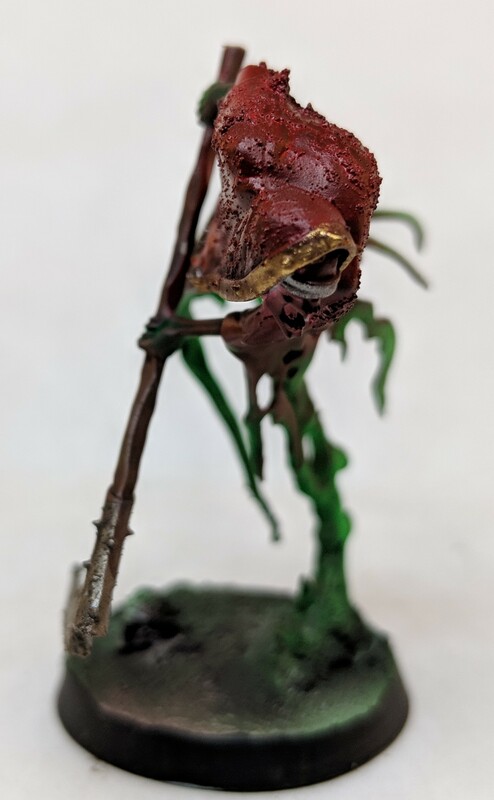 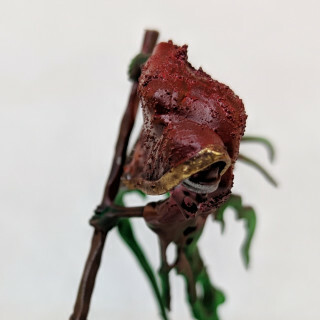 And corrosive texture paint. Hexwraith Flame on the arms to reduce the red ink that was sprayed on while airbrushing. 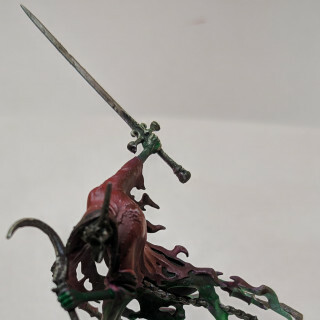 The rim of the coat I made dark gold and darkened it more with nuln oil. 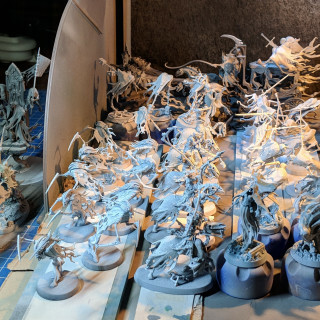 As you might have noticed I uploaded the my previous progress first and am now really adding up to date content. 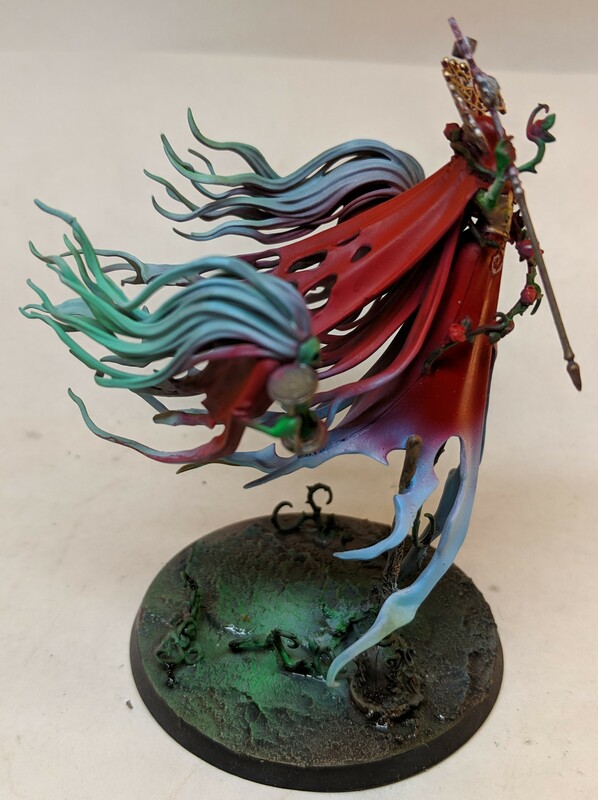 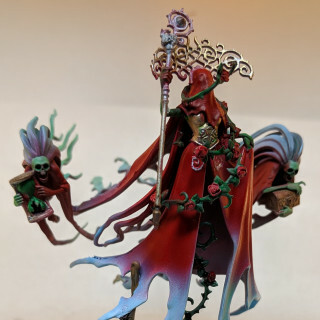 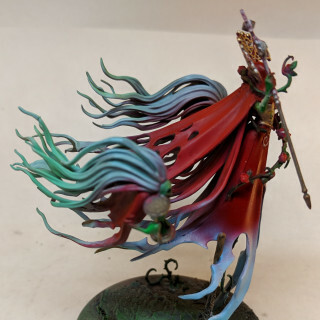 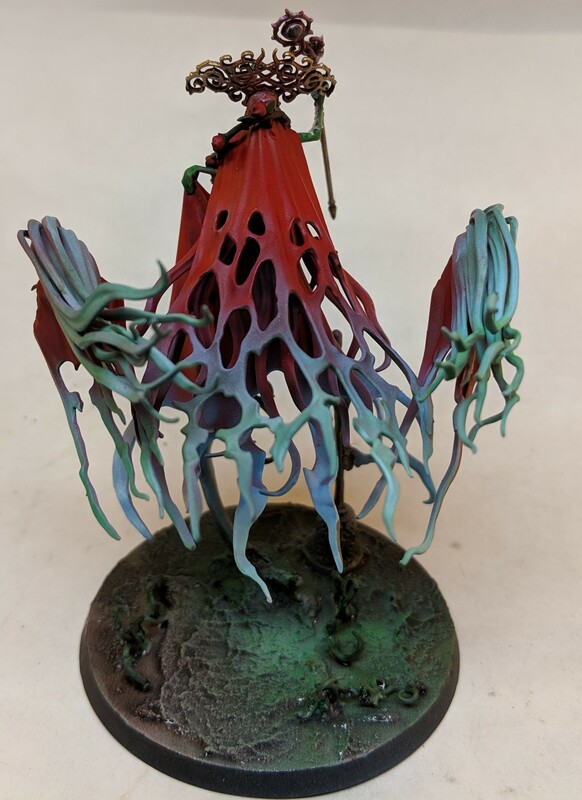 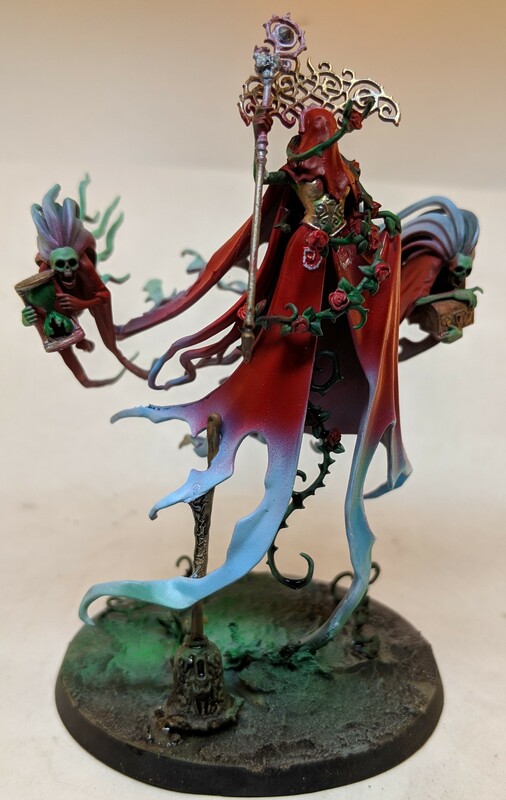 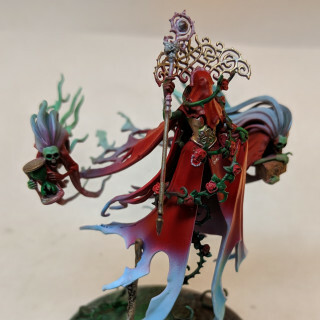 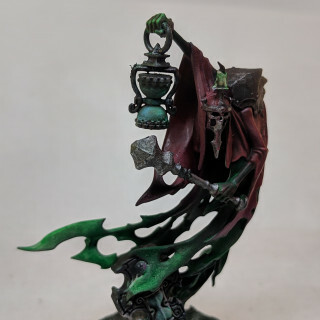 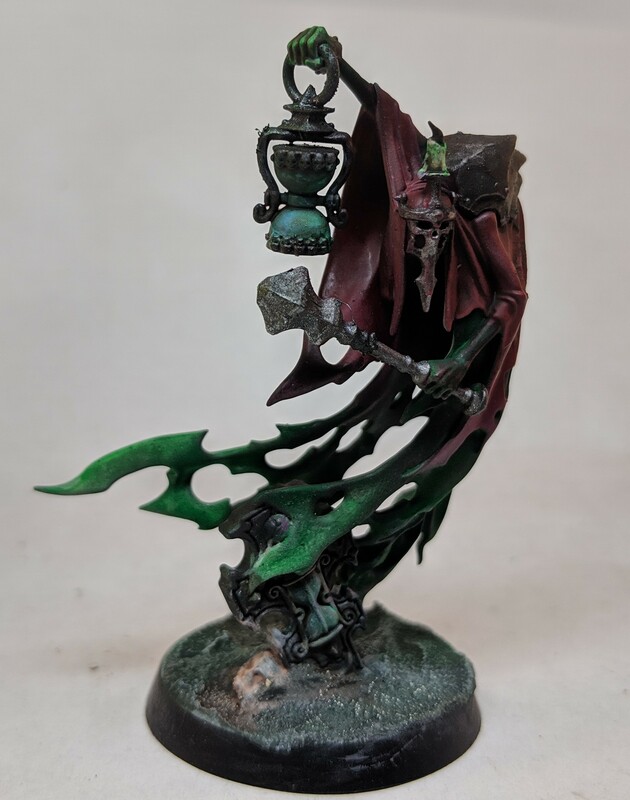 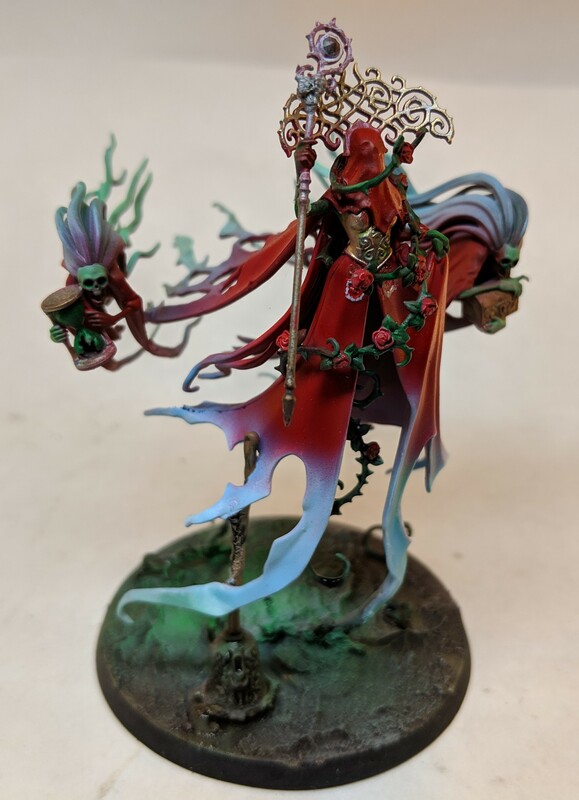 For the ghostly bits I used Hexwraith Flame. 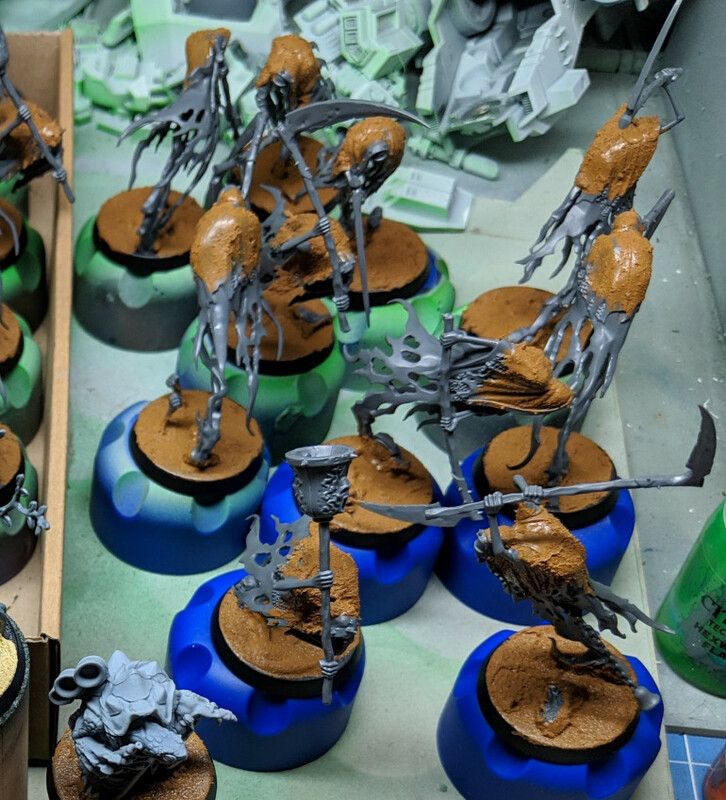 I’ll wash/shade all of them tomorrow. And hopefully also finish them with weapon and chain rust details. 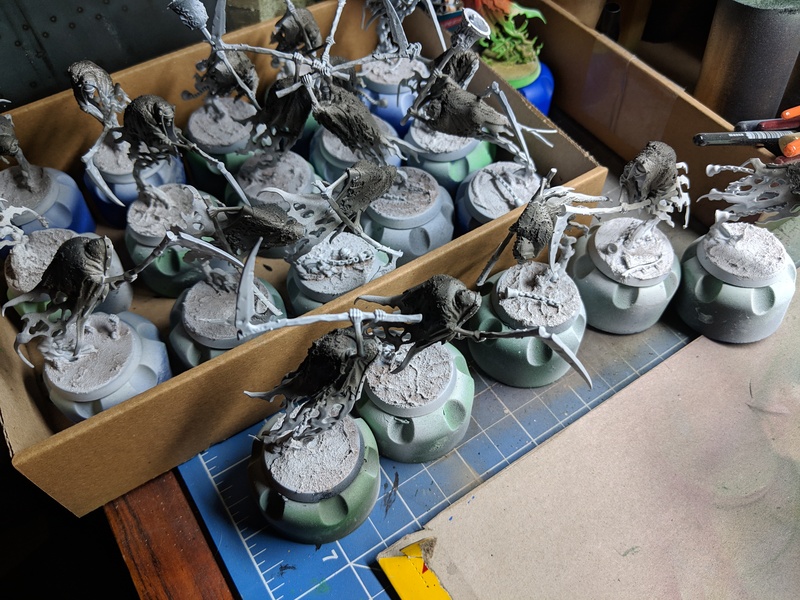 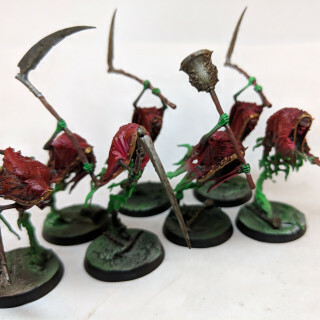 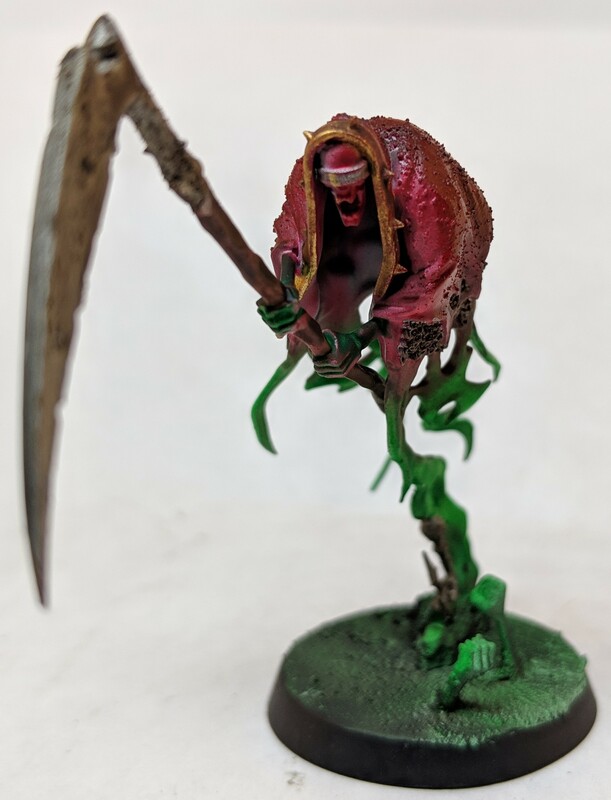 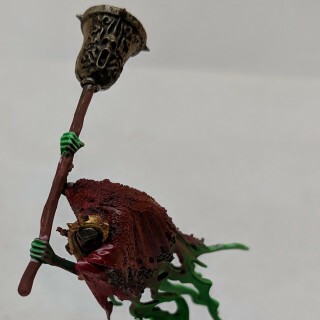 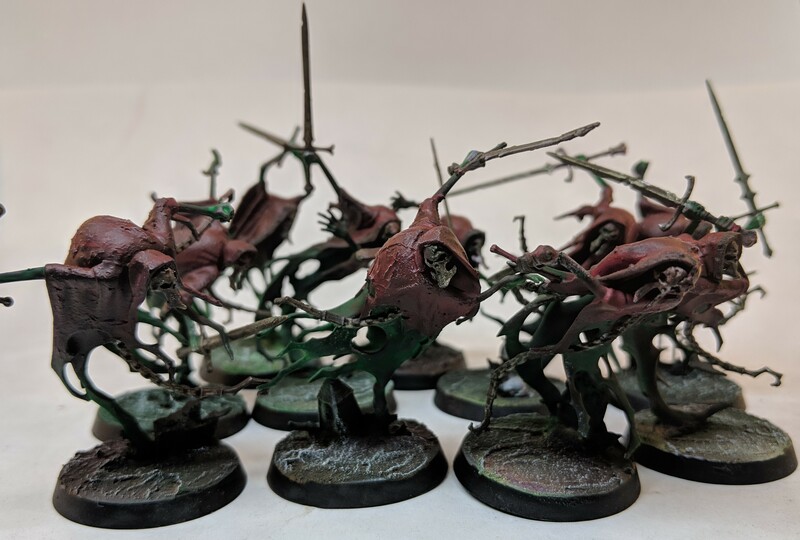 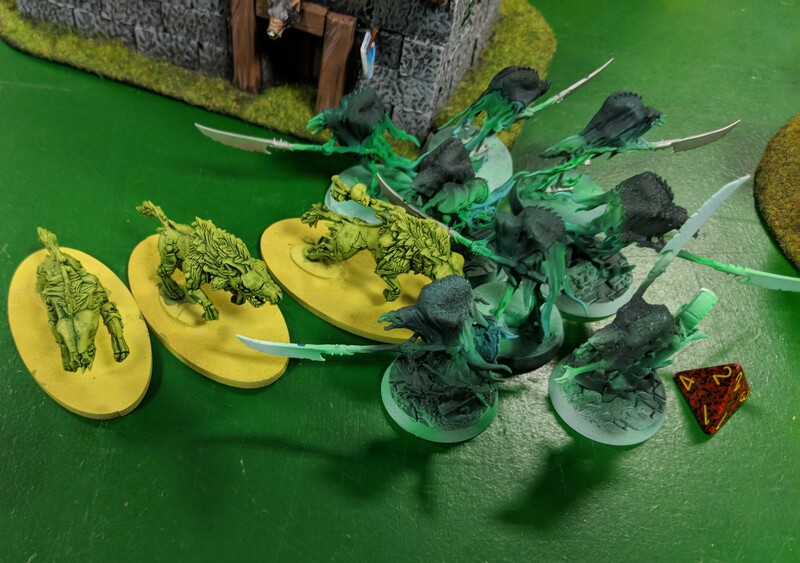 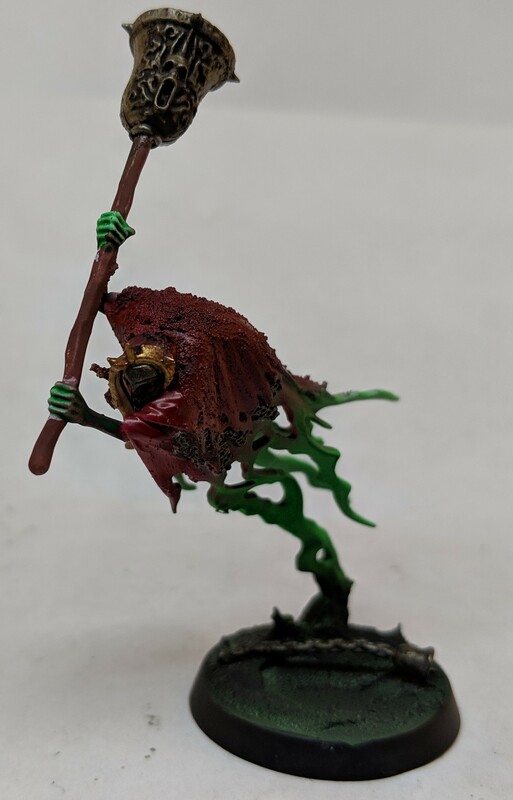 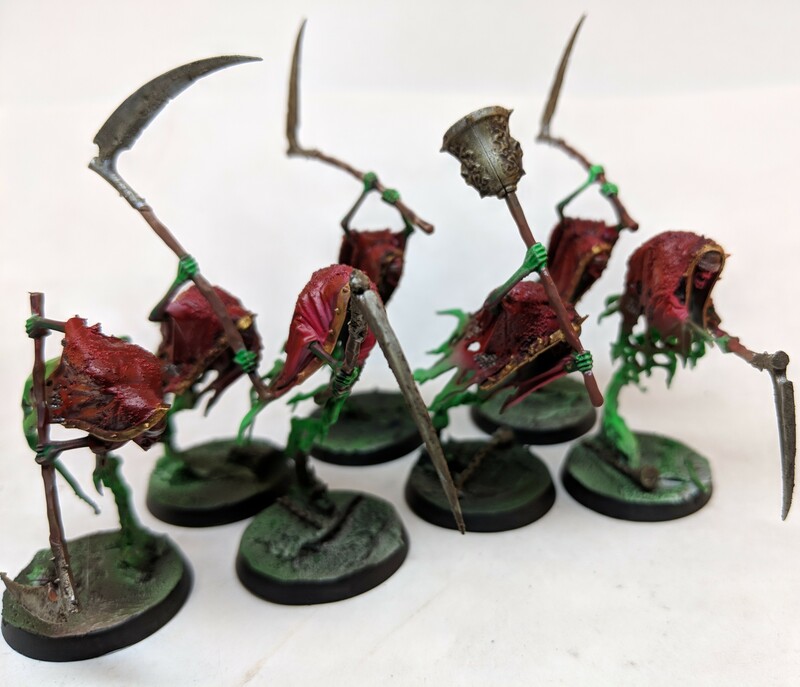 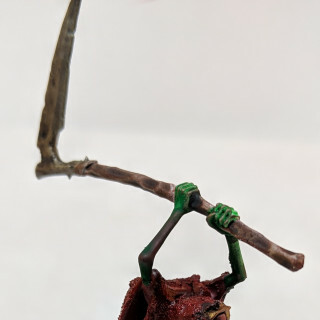 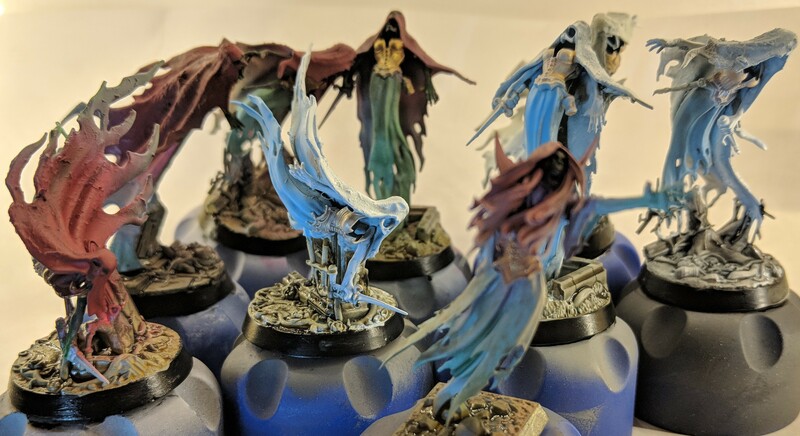 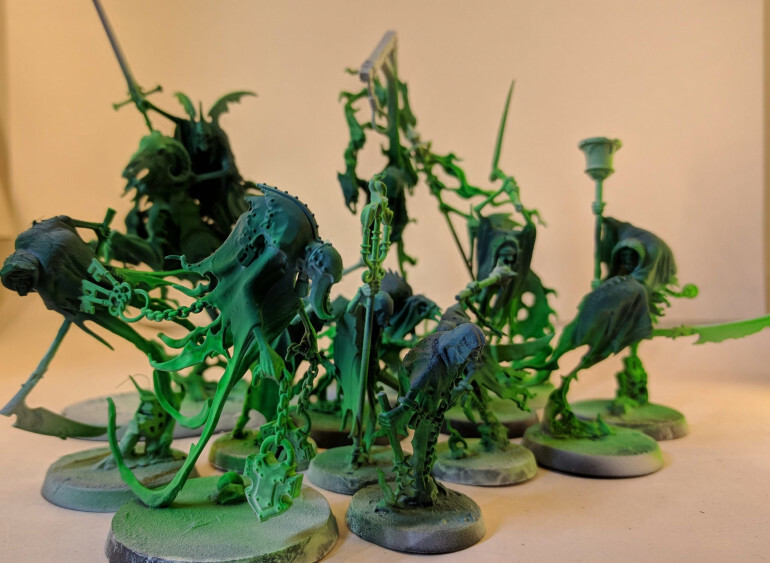 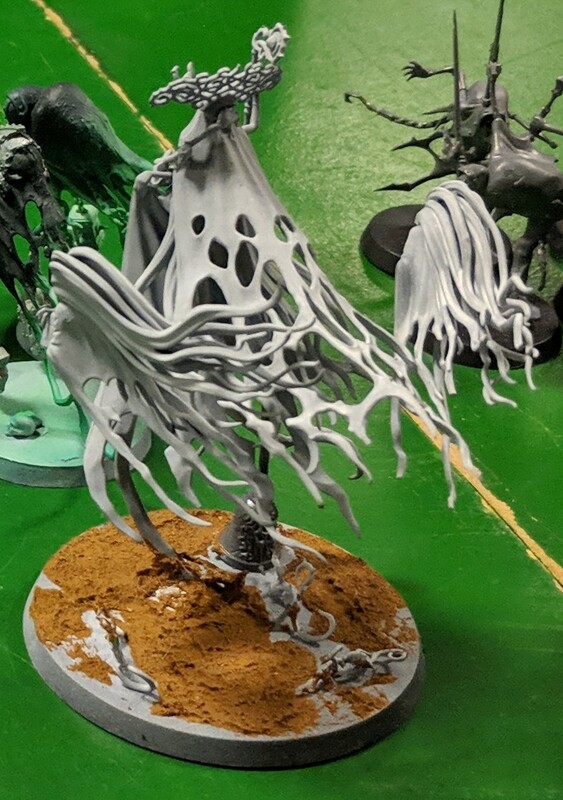 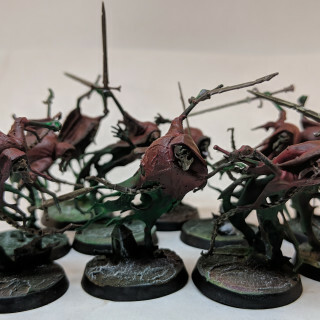 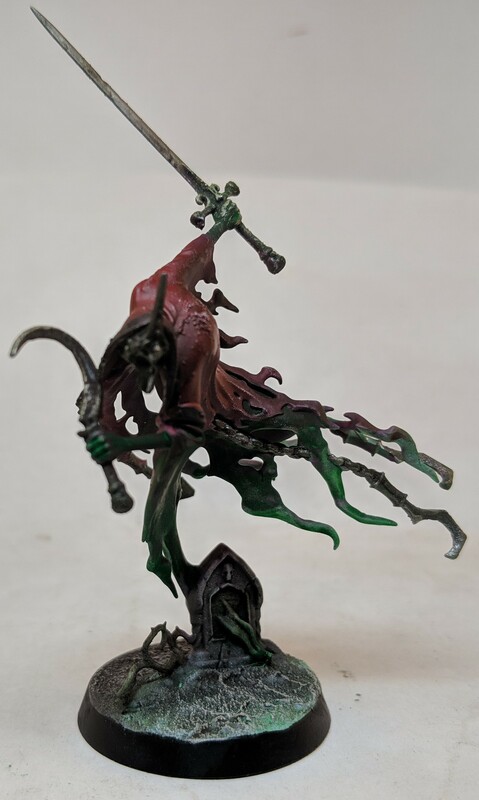 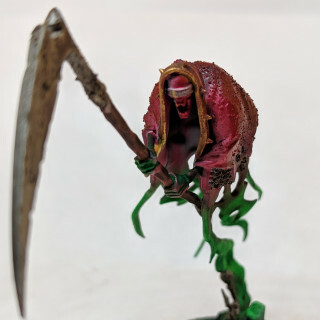 After buying the Soulwars box I started assembling and making all cloaks “dirty” using liquid green stuff. 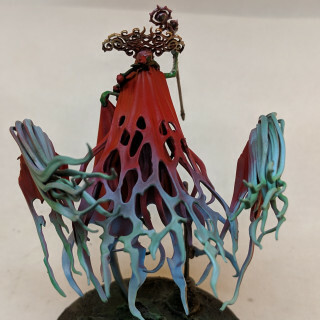 This worked great and the 1st colour scheme looked fun.